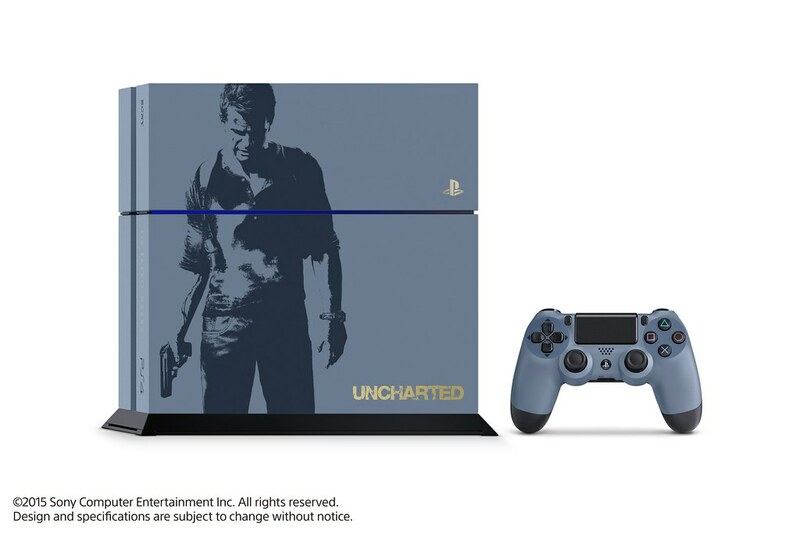 To commemorate Uncharted 4‘s release, we’re rolling out the red – er, blue – carpet with a special Limited Edition Uncharted 4 PlayStation 4 bundle. Unlike Nathan Drake, you don’t need to trek through Madagascar to find this treasure. Just pick one up at your local participating retailer from 27th April across Europe and 29th April in the UK, where the bundle will be available to pre-order shortly at selected retailers. 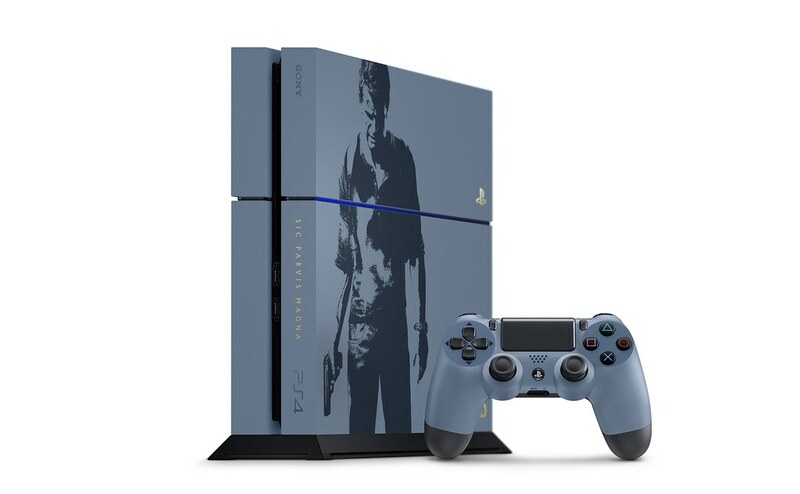 This bundle includes a Limited Edition 1TB PS4 in Gray Blue featuring a silk-screened image of Nathan Drake, as well as a matching DUALSHOCK 4 wireless controller and a copy of Uncharted 4: A Thief’s End on Blu-ray disc. The limited edition PS4 also features the PlayStation logo, Uncharted logo and the phrase “Sic Parvis Magna” in gold – it’s Latin for “Greatness from small beginnings” and is the same phrase engraved on Drake’s ring. We’ll also sell the Gray Blue DUALSHOCK 4 separately in April, ahead of the release of the bundle. The launch of Uncharted 4: A Thief’s End is almost upon us and honestly, we couldn’t be more excited. Let us know what you think of the limited edition PS4! Sweet baby Jesus. I am usually not into special collectors edition consoles at all. But my god I feel the want for this. It's so goddam pretty. It looks very nice. Today seems like the day to announce stuff with the DOOM special edition/release date also being released. (05-02-2016, 12:40 PM)GuyGo Wrote: It looks very nice. Today seems like the day to announce stuff with the DOOM special edition/release date also being released. Doom is looking super sweet. 2016 confirmed for off the hook. I couldn't give up my first PS4, so ill have to keep it an ignore the existence of this new PS4. Current time: 21-04-2019, 07:00 AM Powered By MyBB, © 2002-2019 MyBB Group.